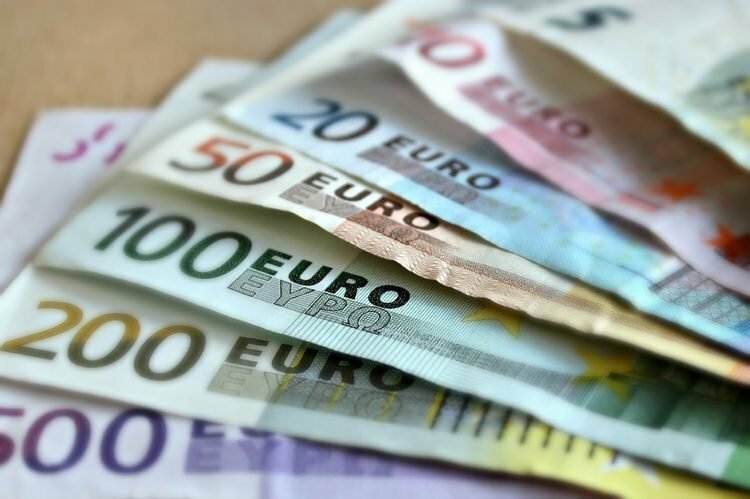 Gilberto Baschiera, the former manager of a bank in Forni di Sopra, a small town in Italy’s Dolomite Alps, has been nicknamed the “Robin Hood Banker” for taking around €1 million ($1.15 million) from rich savers’ accounts, over several years, to help poor people qualify for loans. It all started in 2009, at the the height of the global financial crisis, when banks’ criteria for credit approval assessments changed. 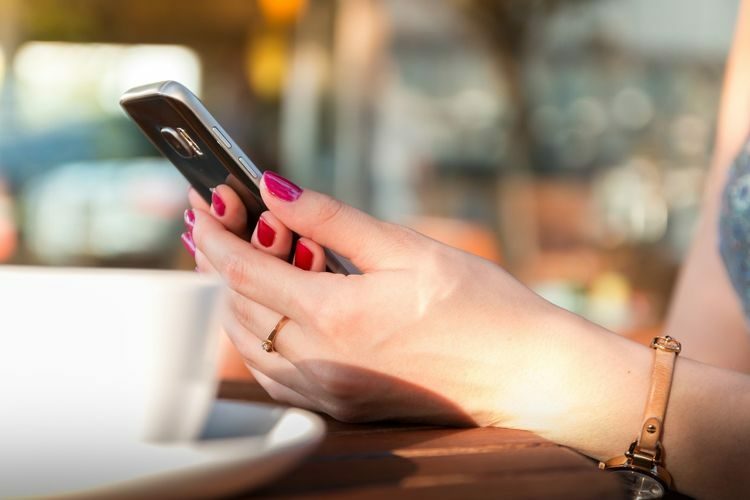 It was no longer about an overall assessment of the customer, but about the reliability of the client, which was established at the bank desk, on a computer. 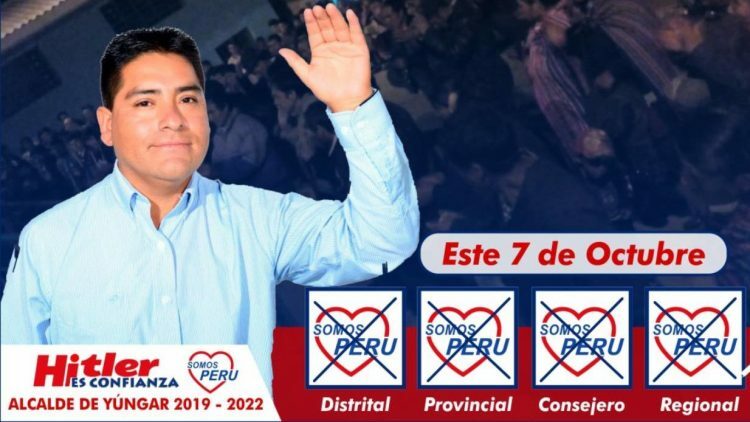 So when a local man came to Gilberto Baschiera’s office asking for a small loan, and the bank manager saw that he didn’t qualify according to the new criteria, he felt sorry for him. Instead of turning him away like most bank managers would have done, Baschiera took some money out of the account of a wealthy client, and added it to the poor man’s account, so that he would qualify. But this was only the beginning of Gilberto Baschiera’s career as a modern-day Robin Hood of the banking world. What good is a walking stick if you have to bend over to pick it up whenever it falls down? 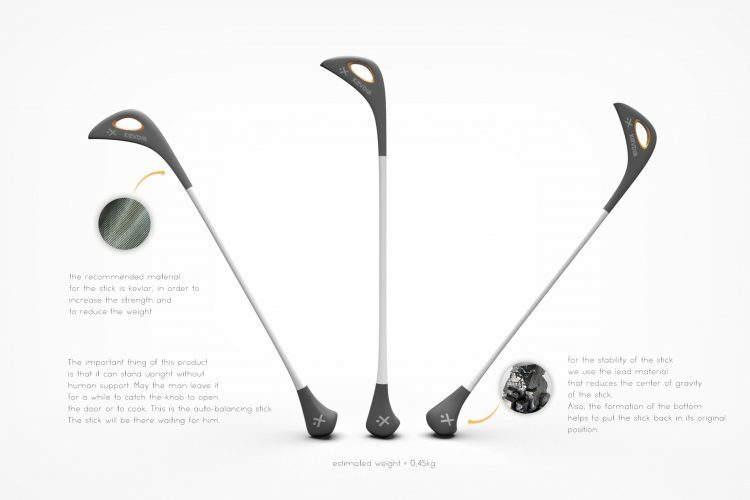 That was the question that inspired a Greek industrial designer to design Kevdia, a light yet durable walking stick that always stands upright. The secret of the Kevdia walking stick is a weighted self-balancing base which makes the stick pop right back up whenever it is dropped. 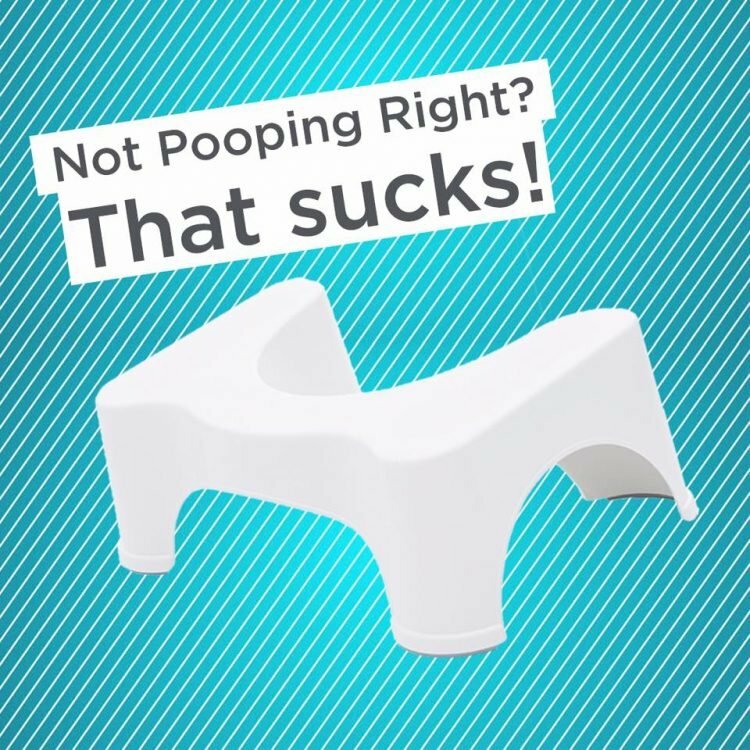 This allows the elderly or people with disabilities to confidently let go of the walking stick whenever they need to, without having to hang it on something or bend over to pick it up if it falls down. Made out of lead, the weighted base also promotes a more solid placement of the tip, enhancing the stability and the confidence of the user. 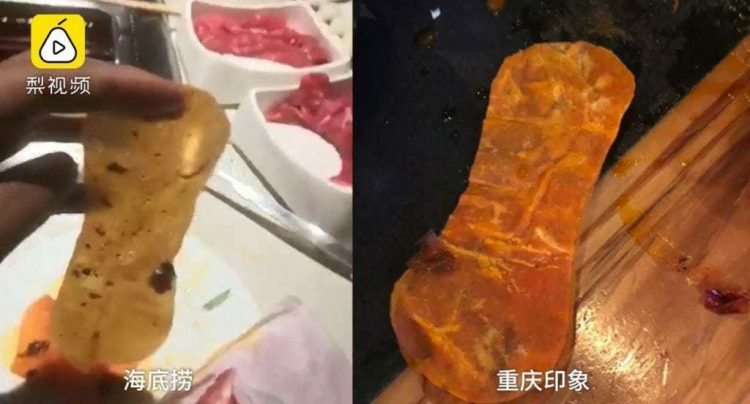 And the title for the world’s unluckiest diner goes to… A woman in Shenzen, China, who claims to have found sanitary pads in her hotpot, two days in a row, at two separate restaurants. The woman, known only as ‘Ni’ allegedly found the first sanitary pad while enjoying a hotpot at a restaurant chain called Haidilao, last Friday. In a video that has since went viral online, she can be seen pulling the bizarre object out of her meal and inspecting it. The woman later alerted restaurant staff about her disgusting discovery and asked to talk to the manager, who, after inspecting the object himself, explained that it was probably paper wrapping from the meat. However, the woman dismissed his explanation, claiming that it clearly looked like a sanitary pad. She then proceeded to demand a 1 million yuan compensation from the restaurant. Young men in Pu Hong, a small village in Thailand’s Kalasin province, have started painting their fingernails as a way to fend off an evil ghost who they hold responsible for the recent deaths of several locals. The bizarre trend became popular after the deaths of five residents of Pu Hong over the last three weeks. The first two men, who reportedly came from the same family, simply collapsed and died on the spot, another victim, a teenage girl died in a motorcycle accident, while the details of the other two fatalities have not been disclosed to the media so far. Instead of taking the high number of fatalities in their village as a tragic coincidence, locals believe that supernatural forces are responsible, and have started taking precautions to avoid becoming victims themselves. An Indian education organization recently sparked controversy by introducing an optional engineering course that teaches students that modern inventions like aeronautics, batteries, as well as knowledge of gravity existed in India during the Vedic Age, thousands of years ago. Human Resource Development Ministry (HRD) decided to introduce into the country’s engineering curriculum a controversial book that makes all kinds of bombastic claims, from the fact that the Wright brothers didn’t really invent the airplane, to assertions that ancient Indian ‘scientists’ in the Vedic Age (1500 – 500 BCE) knew about gravity long before Isaac Newton. This book is seen as another attempt by Narendra Modi’s government to promote pseudoscience pushed by Hindu groups. 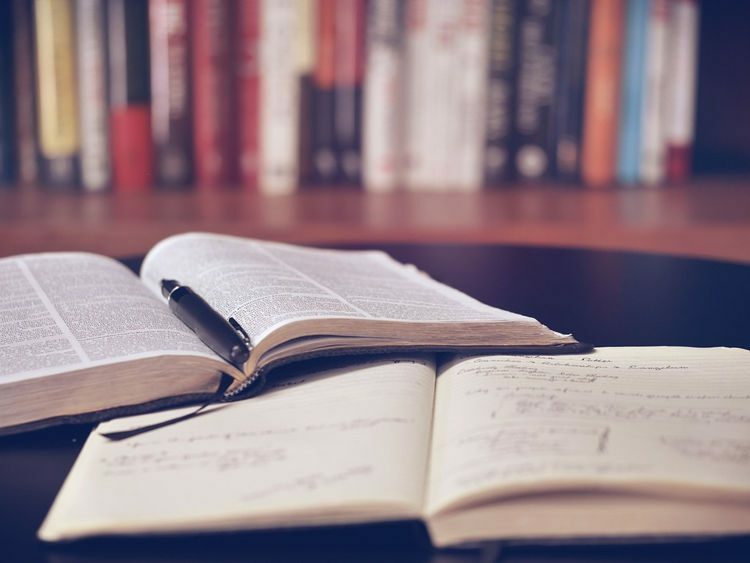 Entitled Bharatiya Vidya Saar, the controversial book is set to be introduced as part of an optional credit course in engineering colleges and universities affiliated with the All India Council for Technical Education (AICTE). For some reason, the optional course, called Indian Knowledge Systems, will focus on Indian philosophical, linguistic and artistic traditions, as well as yoga and Indian perspective of modern scientific worldview. Those don’t sound like the kinds of things engineering courses should focus on, but wait until you hear what students will actually be taught. 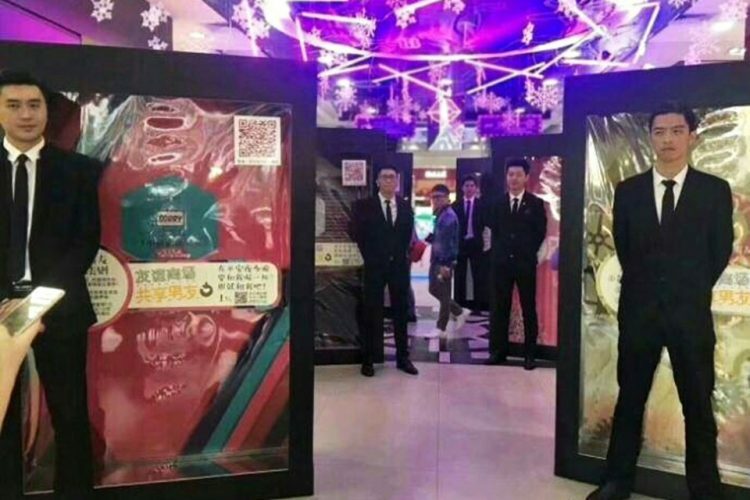 Shopping malls in China have come up with an ingenious strategy to attract female shoppers. Many of them now offer attractive ‘shopping’ boyfriends that can be rented by the hour at really affordable rates. What started as a clever promotion for March 8th, International Women’s Day, has apparently become a year-long strategy to attract female shoppers. Walking through mall galleries in Chinese cities like Hebei or Foshan, you’re likely to spot young, dapper men displayed in giant, doll box-like frames decorated with hearts. They are called ‘shopping boyfriends’ and they can be rented by the hour by lonely female shoppers looking for company. Rates start as low as 1 yuan ($0.15) per hour, up to 2 yuan ($0.30) in some shopping malls. A family in Russia’s Barnaul region was recently taken to court by the local energy company for accumulating a debt of approximately 80,000 rubles ($1,218) in unpaid bills. In their defense, the accused claimed that it was all their cat’s fault, not theirs. It’s one thing for kids to say “the dog ate my homework”, but you don’t often hear adults trying to lay the blame on their pets in order to avoid taking responsibility for their actions. That’s exactly what this family in Barnaul did, though, and not just anywhere, but in front of a judge. 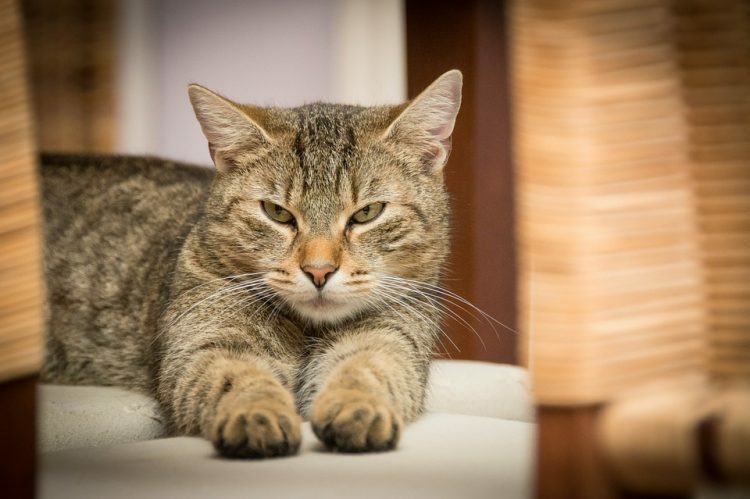 Accused of refusing to pay the local energy company around 80,000 in electrical bills, they claimed that they hadn’t actually used the electricity, but that meter had been tampered with by their mischievous cat. 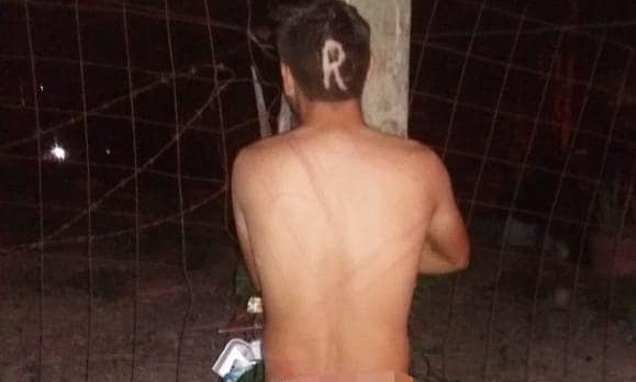 Last week, police in the Mexican resort city of Puerto Vallarta reported at least 11 cases of people completely stripped of their clothes tied to lamp posts and with the letter ‘R’ shaved on the back of their heads. So far, no one knows who orchestrated these attacks and why, as the victims all refuse to talk. Police started receiving calls about naked men being tied to lamp posts in different areas of Puerto Vallarta last Monday. Between 9:26 PM on Monday, and 1:29 AM on Tuesday, four men were discovered in similar circumstances. They had all been stripped naked, had bruises on their buttocks like they had been repeatedly slapped, they were tied to lamp posts at various intersections across the city and they all had the letter ‘R’ shaved into the back of their heads. Authorities announced that they had started an investigation, but little did they know that these four cases was only the beginning. A man named Valery recently became the star of what may very well be the most epic fail in the history of iPhone launches. After becoming the first person in a monstrously long queue to set foot inside the Apple store in Moscow to buy an iPhone XS, he left empty-handed because he couldn’t afford to buy it. On the morning of September 28, the Apple store in Moscow finally opened its doors to the crowd of people that had been lining up outside for over 24 hours to buy the new iPhone XS and XS Max. 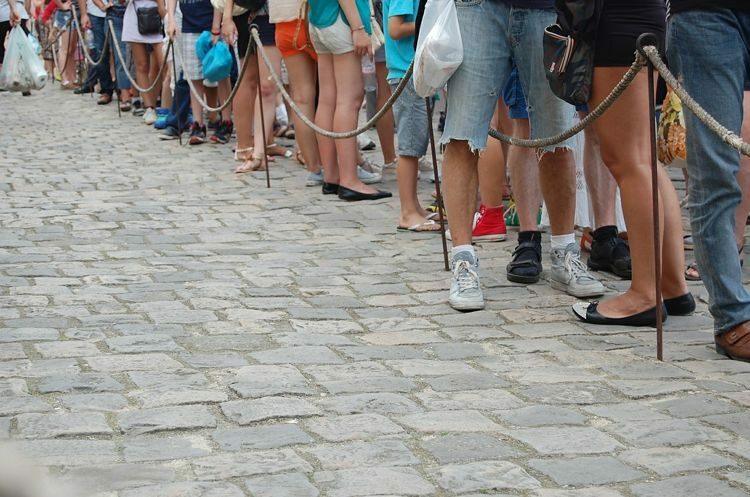 Apple fans have been queuing up for new iPhone launches all around the world for years now, but what made this particular event special was the amount of fail involved. For one thing, the first eight people at the head of the giant queue evaporated minutes before the store opened. It turns out they had never planned on buying a phone, hoping to sell their places in line for absurd amounts of money, instead. But they were actually the smart ones, because the ninth guy planned to do the same thing, only he didn’t have the brains to bail before the doors opened. 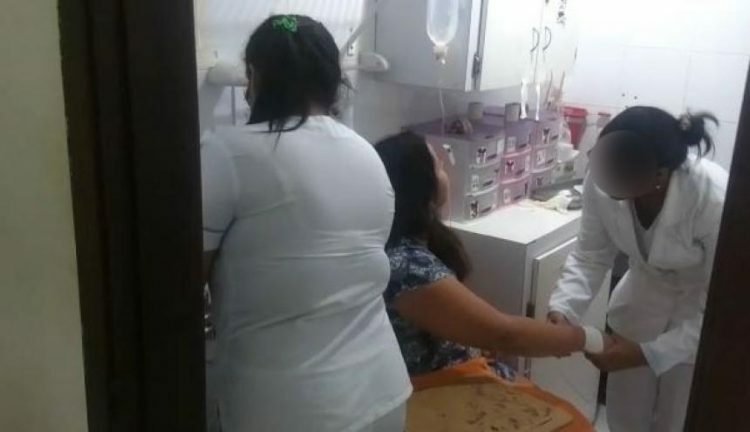 A 37-year-old woman from Colombia recently shocked her entire country after managing to fake her pregnancy for nine months and then coming up with film-worthy story to explain the absence of a baby on her due date. And she did it all to keep her partner from leaving her. Antonela Santiago Padilla and her partner Victor had known each other since they were 14 year old teenagers growing up in northern Barranquilla. Life split them apart for a long time, but many years later, Victor called to commemorate the memory of her brother, who had passed away. She started writing to him in September of last year, and soon their relationship became stronger and closer. However, Antonela knew that he was involved in a romantic relationship with another woman and didn’t want to break them up. Victor kept telling her that he and his partner weren’t getting along and that they were going to break up, so they started their own romantic relationship in December 2017. But Antonela wasn’t convinced that Victor had forgotten about his former girlfriend and it was this insecurity that made her create this elaborate farce that left everyone flabbergasted. 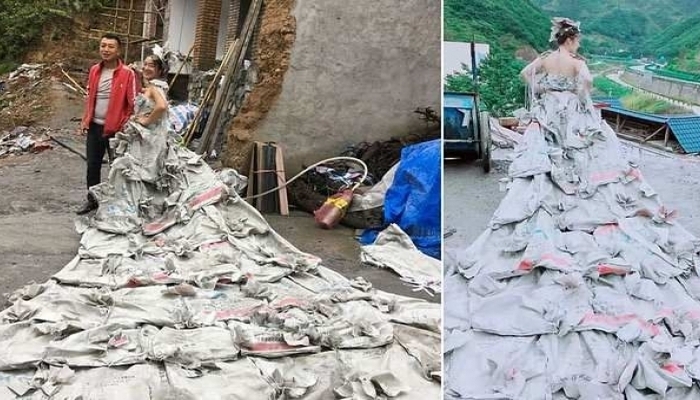 A creative female farmer in China recently broke the internet with a gorgeous wedding dress she made out of 40 cement bags leftover after repairing her country house. 28-year-old Lili Tan has never taken fashion design courses, and spends most of her time farming, not creating wedding gowns, but looking at the amazing dress she created on a rainy day, when she couldn’t work in the fields, you could swear she makes dresses and accessories for a living. Using 40 discarded cement bags, the contents of which had gone toward renovating her village house near Longnan city, in China’s Gangsu province, Tan was able to create an elaborate wedding dress like the ones she saw in magazines, an impressive train for it, as well as a fancy hat. She showed them off on social media in a video which instantly went viral with several millions of views. 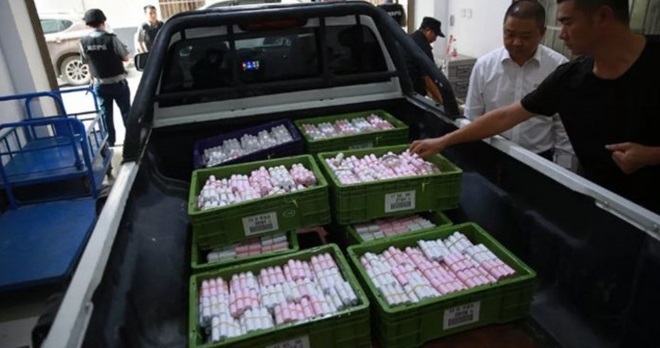 A man recently caused havoc at a car dealership in Tongren City, China, after turning up with a truck full of coins to buy a 480,000 yuan ($70,000) BMW. The unnamed man apparently used to work as a bus driver and collected the coins during his many years on the job. Only instead of regularly exchanging them for larger denomination banknotes, he just kept them in his home, hoping to some day spend them on the car of his dreams. After seeing a new BMW that he really liked, the man decided that the time had come to exchange his sizable fortune for it, but only then realized that he had never even counted the coins. So he called some friends over and they spent four days counting them before loading them up in crates and driving to the car dealership.